If you are facing criminal charges in Saint Lucie County, Martin County, Indian River County, or elsewhere in Florida, fill out the form at the top of the page for a free consultation with Criminal Defense Attorney Kessler. You can also visit our Free Consultation page. More people are wrongly arrested for DUI in Florida than any other crime on the books. If you have been arrested for DUI or drugs in Fort Pierce, Port Saint Lucie or in Saint Lucie County, your freedom, your criminal record, your driver’s license, your relationships, your career and your reputation are in jeopardy. You cannot afford to make a mistake and hire the wrong lawyer. With a solid winning record spanning over 30 years, Attorney Michael Kessler has successfully defended hundreds of people just like you against charges of DUI, drugs and other crimes. 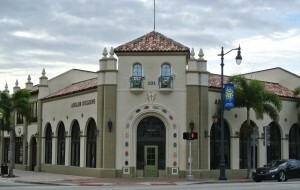 Located in the historic Arcade Building across from Fort Pierce City Hall.